When free-spirited Jamie arrives at a new preschool, all the kids learn that it's okay to play whatever you want. There are so many fun things to play with at Jamie's new preschool— baby dolls to care for, toy cars to drive—and Jamie wants to play with them all! But the other children are confused . . . is Jamie a boy or a girl? Some toys are just for girls and others are just for boys, aren't they? Not according to Jamie! 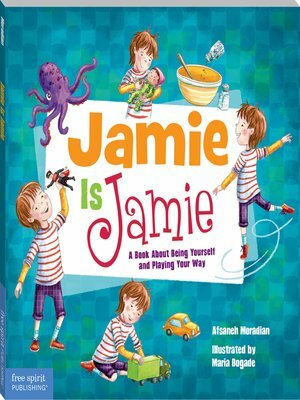 This bookchallenges gender stereotypes, shows readers that playing is fundamental to learning, and reinforces the idea that all chil­dren need the freedom to play unencumbered. A special section for teachers, parents, and care­givers provides tips on how to make children's playtime learning time.